Increased mobility is not enough to make them more reliable than other mobility items. Fortnite: Battle Royale received the v8.20 Content Update this morning, which small when compared to previous content and standard updates. Besides the addition of the Explosive Bow, only one change that came to Peppers might have caught players’ attention. 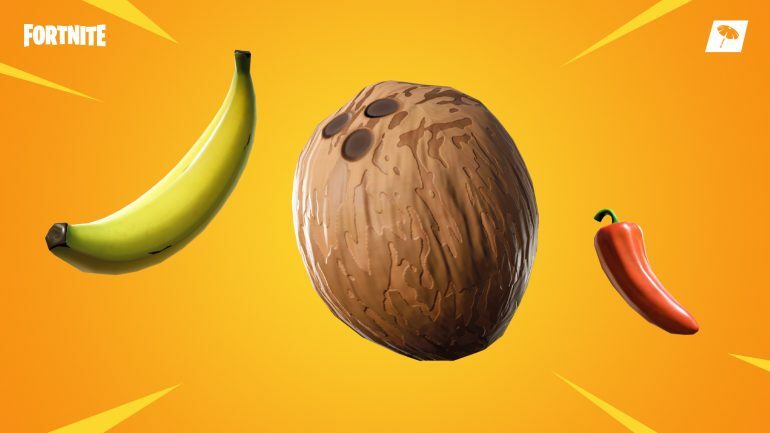 Peppers, which are consumable environmental items that are found on the desert biome, now increase their user’s movement speed by 40 percent instead of the 20 percent from the v8.20 patch when they were introduced. The duration of the effect has also doubled from 10 to 20 seconds. Both increases might seem huge at first, especially because being 40 percent faster can really make a difference in flanking opponents or to simply move around the map faster to avoid a closing storm. Despite that, Peppers are far from becoming an effective and reliable mobility item. Players might notice their movement is really faster after consuming a pepper, but it still feels far from enough to get an advantage over an opponent or to be some kind of replacement for a mobility item or a vehicle. As seen in the GIF below, the speed boost is way smaller than the one players get from driving a vehicle or from Impulse Grenades or items that are now vaulted, like Grapplers and the Bouncer trap. The comparison gets even worse when we think about the main source of mobility in Fortnite today, which are vehicles. For instance, players use The Baller and its built-in Grappler to reach incredible speeds and heights in a short period of time. Driftboards are far from optimal, but they become players’ second alternative when all The Ballers are taken. The Quadcrasher, which players rarely see in Fortnite matches since season eight started, can still reach high speeds and be useful for movement. All these vehicles are more reliable than Peppers. Players can use all of them to also move vertically, like climbing up a hill or avoiding fall damage when driving down a mountain. With Peppers, players are still unprotected and have to build to get higher since Peppers don’t increase your jump height, and players must be careful when going down mountains to avoid fall damage anyway. Comparing Peppers with mobility items, which are directly related to them, still makes them sound lackluster. The versatile three-dimensional mobility of both the Flint-Knock Pistol and the Impulse Grenade make them better items than Peppers. They let players perform actions that would otherwise be impossible, like jumping three vertical tiles at once or pushing an opponent down a mountain with an explosion. Peppers continue to be a bad item regarding their speed and versatility, since vehicles are way faster than them and mobility items can be used in many more ways to benefit the player. Epic still has to tweak Peppers a bit more to make them get to the point where players will fight for them to some extent.